First of all, we’d like to thank you for all the feedbacks that you’ve sent us since our Diagram library release. They helped us a lot to define your current needs and present an updated dhtmlxDiagram today. So, meet dhtmlxDiagram 1.1! Releasing the version 1.0, we have shown you the basis of creation of beautiful, configurable and simple organization charts. 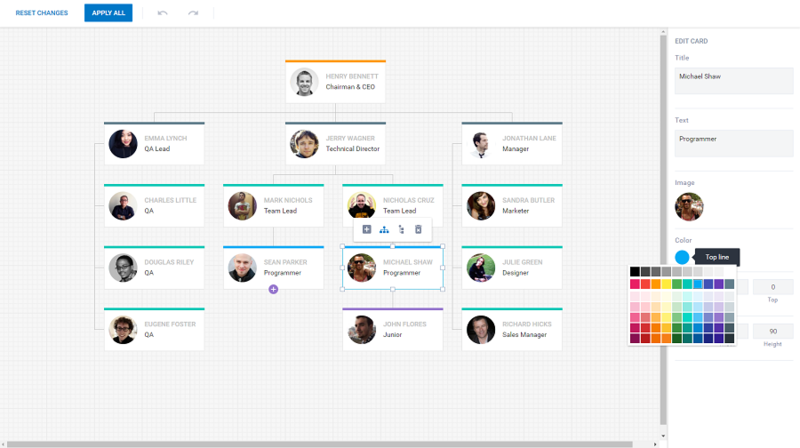 Now, in addition to just displaying the org charts, we’ve added the editing functionality. 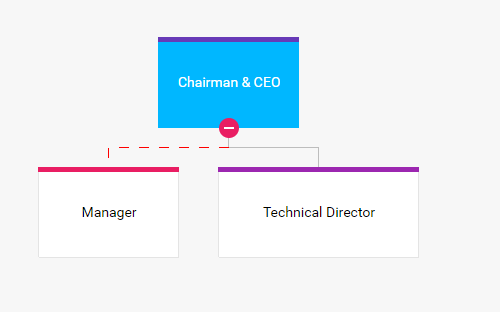 You can also use a Live Edit mode that allows you to enable editing in your application and save the changes made to an org chart. Find out how to create a Live Editor. This update comes with extended API, so there is much more abilities to configure the component and extend its functionality. The clients can download the new version in the Clients Area. If you are new to dhtmlxDiagram, you’re welcome to get a free trial. Don’t forget to leave us your feedback in the comments section below or via email.